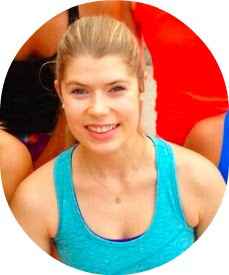 I have an AWESOME giveaway for you today! That is, an awesome giveaway if you love smoothies and frozen yogurt. So basically, it's an awesome giveaway, because who doesn't love those? Now, before I go further, I should mention that Red Mango compensated me for this post. But I would not have accepted the campaign offer if I didn't already know that I liked Red Mango's fro-yo and, as they always will be, all thoughts and opinions on the products are my own. But first, some background. 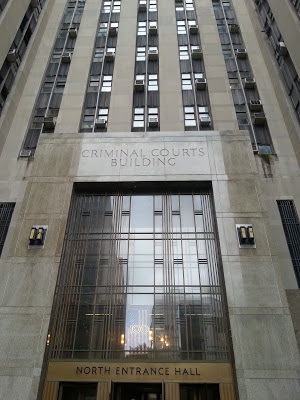 Yesterday, after taking a Barry's Bootcamp class with Ashley, I headed downtown for jury duty. I had forgotten my change of clothes that I'd laid out the night before so I was wearing workout clothes -- at least I'd brought a pullover! If you've ever served jury duty, you know it's a lot of "hurry up and wait," as you're moved from one room to another, waiting to see if you'll be selected or not. Finally, at 12 PM, we were given a two-hour lunch break. 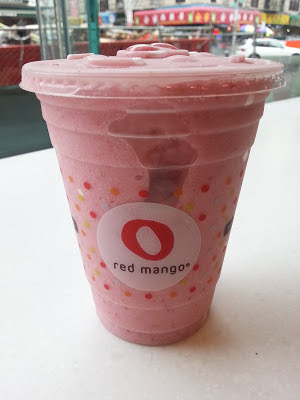 So I headed immediately to Red Mango to try out their brand new SuperBiotics Summer Smoothies! Red Mango just launched 22 brand new probiotic smoothie flavors and approached me about trying out one and blogging about it. I said yes immediately. You may have detected the hint of a smoothie obsession around these parts, and I love frozen yogurt, so there was no way I could say no. However, whenever I work with a brand, I make it clear that I reserve the right not to like the product and either not to blog about it or to be honest about my dislikes. 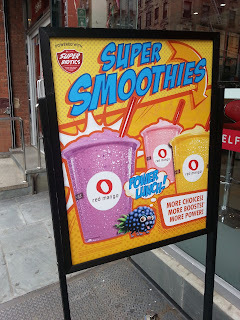 Thankfully, that wasn't an issue -- these smoothies are delicious! I ordered the Strawberry Energizer, with an energy boost, and it was exactly what I needed on a hot and humid day after a 6 AM Barry's class and several hours of jury duty (with more to come). The smoothie was sweet, but not too sweet -- just tasty enough to feel like a treat. And at 220 calories, I could pair it with something else for lunch, which kept me going from 12 PM until 5:30 PM! The girl manning the counter was extremely helpful and not only discussed the smoothies with me, telling me that yes, they're made with fresh fruit (yay! 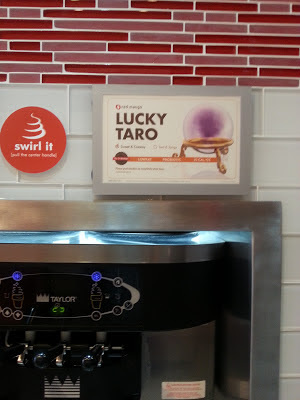 ), she also told me about their new fro-yo flavors, including Wild Raspberry and Lucky Taro. I tried both and they were fantastic! At that point, I basically wanted to make fro-yo my lunch, but knew the resulting sugar crash would leave me napping in a courtroom. Not the classiest start to my legal career. But I'll be back for those flavors! And to taste more of the smoothie types because my Strawberry Energizer was seriously tasty. It was full of strawberry and banana and didn't have that sometimes-chalky taste you get at chain smoothie places. I also love that the smoothies are made with probiotics, live bacteria in yogurt that have health benefits. Red Mango has a great infographic about their particular probiotics here. Now for the giveaway: THREE of you will be winning $25 gift cards to Red Mango to try their new smoothies and fro-yo! You have four different ways to enter! Leave a blog comment telling me what your favorite fro-yo topping combination is. 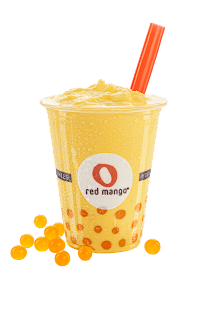 Tweet about the giveaway, using the following: "I want to win $25 to @redmango from @jensbestlife! bit.ly/14MeW5F" AND leave me a comment telling me you tweeted. Follow me on Twitter AND leave a comment telling me you followed me. Like my Facebook page AND leave a comment telling me you liked it. The giveaway will end at 11:59 PM on July 9, 2013, so you have a week to enter. And everyone gets to enjoy a discount to Red Mango that they have going on from now until July 5. All day, every day till Friday, Red Mango is offering their Super Biotic Smoothies for only $2 plus tax for the regular size. No coupon is required, just pop into your local location and try them out! This post was sponsored by Red Mango. All thoughts and opinions are my own. My favorite topping is oreo crumbs! NOM. i love putting euro tart, salted caramel, and graham cracker froyo all together then putting on gummy bears, fruity pebbles, karob chips, cookie dough, and whatever else i fancy! yummmm! I follow you on Twitter. Obviously! Umm, just liked your Facebook page. HOW did I not already do that?? Berries plus something chocolate! Usually oreo crumbles. Mmm Red Mango, cannot get enough! I'm a froyo-aholic it's true. And finally I already followed you on twitter! Favorite tops - coconut and chocolate chips! I love strawberries and cookie dough bites! 3. I already liked your Facebook page! Red Mango is my FAVORITE!!! 1. I love the yogurt plain, but if I add a topping, it's usually berries, kiwi, or bananas. 3. I followed your twitter. 4. I liked your Facebook page! I usually have my fro yo plain, but Nutella syrup is the best if it's around. I love crumbled oreos...and I can never do it at home, it's just not the same!